I. RATIO: The ratio of two quantities a and b in the same units, is the fraction a/b and we write it as a:b. In the ratio a:b, we call a as the first term or antecedent and b, the second term or consequent. Ex. The ratio 5: 9 represents 5/9 with antecedent = 5, consequent = 9. 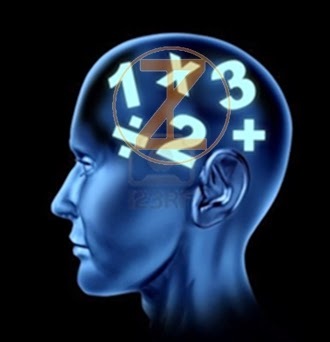 Rule: The multiplication or division of each term of a ratio by the same non-zero number does not affect the ratio. Ex. 4: 5 = 8: 10 = 12: 15 etc. Also, 4: 6 = 2: 3. 2. PROPORTION: The equality of two ratios is called proportion. If a: b = c: d, we write, a: b:: c : d and we say that a, b, c, d are in proportion . Here a and d are called extremes, while b and c are called mean terms. Thus, a: b:: c : d <=> (b x c) = (a x d). We say that (a: b) > (c: d) <=> (a/b)>(c /d). 5. (i) Duplicate ratio of (a : b) is (a2 : b2). (ii) Sub-duplicate ratio of (a : b) is (√a : √b). (iii)Triplicate ratio of (a : b) is (a3 : b3). (iv) Sub-triplicate ratio of (a : b) is (a ⅓ : b ⅓ ). we write, x µ y.
Ex. 1. If a : b = 5 : 9 and b : c = 4: 7, find a : b : c.
(iii) the mean proportional between 0.08 and 0.18. Sol. i) Let the fourth proportional to 4, 9, 12 be x. Fourth proportional to 4, 9, 12 is 27. (ii) Let the third proportional to 16 and 36 be x. Third proportional to 16 and 36 is 81. Ex. 3. If x : y = 3 : 4, find (4x + 5y) : (5x - 2y). Ex. 4. Divide Rs. 672 in the ratio 5 : 3. Sol. Sum of ratio terms = (5 + 3) = 8. First part = Rs. (672 x (5/8)) = Rs. 420; Second part = Rs. (672 x (3/8)) = Rs. 252. Ex. 5. Divide Rs. 1162 among A, B, C in the ratio 35 : 28 : 20. C's share = Rs. (1162 x (20/83))= Rs. 280. Ex. 1. Cost is directly proportional to the number of articles. Ex. 1. The time taken by a car in covering a certain distance is inversely proportional to the speed of the car. Ex. 2. Time taken to finish a work is inversely proportional to the num of persons working at it. Remark: In solving questions by chain rule, we compare every item with the term to be found out. Ex. 1. If 15 toys cost Rs, 234, what do 35 toys cost? Hence, the cost of 35 toys is Rs. 546. Sol. Let the required wages be Rs. x. Let the required consumption of coal be x units. [ 9 * 8 * (1/3) * x) = (8 * 13 * (1/4) * 24 ) <==> 24x = 624 <==> x = 26. Hence, the required consumption of coal = 26 metric tonnes.